For someone who loves graphic design, I don't post about it nearly enough. But with the crazy phenomenon that is LOST, the collective high over the show finale, and the inspiring story behind these posters, I just have to share! Listen closely. It's a story about following your bliss and the universe opening open some pretty amazing doors in return. Ty, Principal at Mattson Creative, is the talented California based designer behind these creations and a friend of mine. A huge LOST fan, Ty and his wife routinely have a bunch of friends over to watch the show each week. So, the weekend before the season premiere, he sat down to make a fun invite to send to friends. 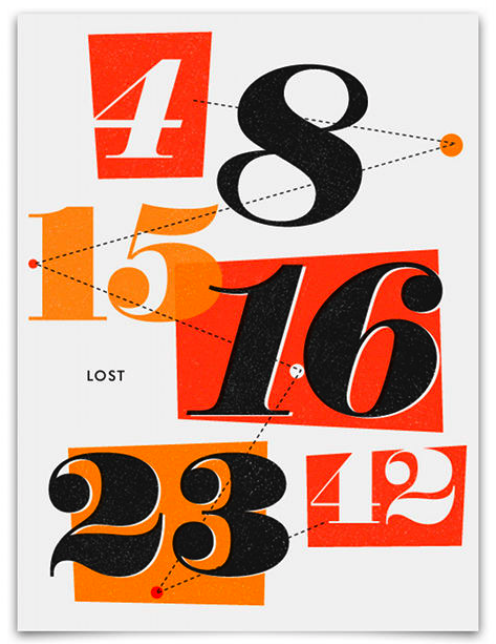 He had so many different ideas, he wound up making eight different designs and posted them on his blog. A few meetings with the producers later, Ty and ABC found themselves a fantastic little partnership! 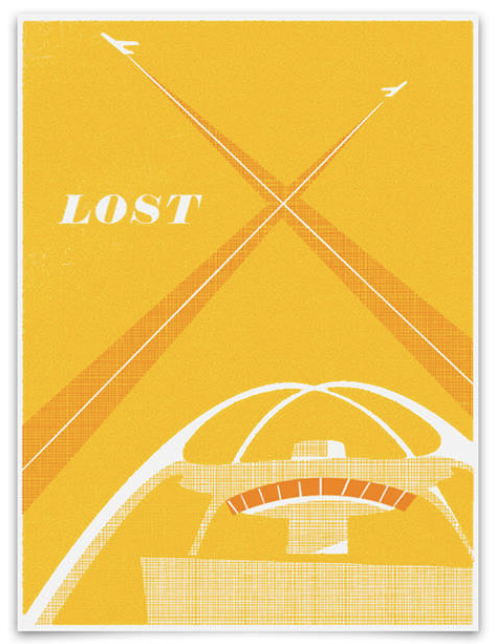 ABC is now the official distributor of his LOST posters, now available on abc.com for $45.95 each! I can see these turning into collectors' items, can't you? Isn't that an inspiring story? Not only does it show the power of social media, it's also a reminder that when we find out talents, invest in them, and follow our bliss, the world has a way of opening itself up to us tenfold and embracing hard work and passion. From fan to the Red Carpet, here's a look at some of Ty's pictures from the 'LOST Live' event leading up to the show finale. 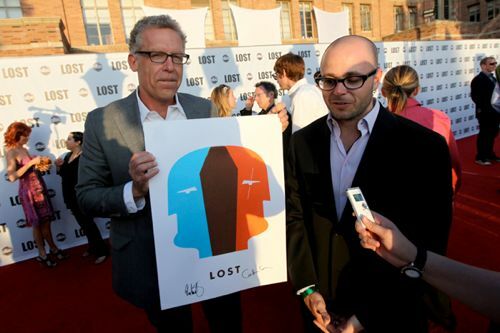 Two LOST producers sign and show one of the designs. And finally, Daniel Faraday holding up Ty's business cards. Classic! So what do you think? Isn't that a cool story? The posters are awesome (I love them all) and so spot on. The true wonder however is the incredible success story!! Um this just made my day. Those designs are AMAZING!! Saving them in my inspiration files!! Props to your friend! So cool! 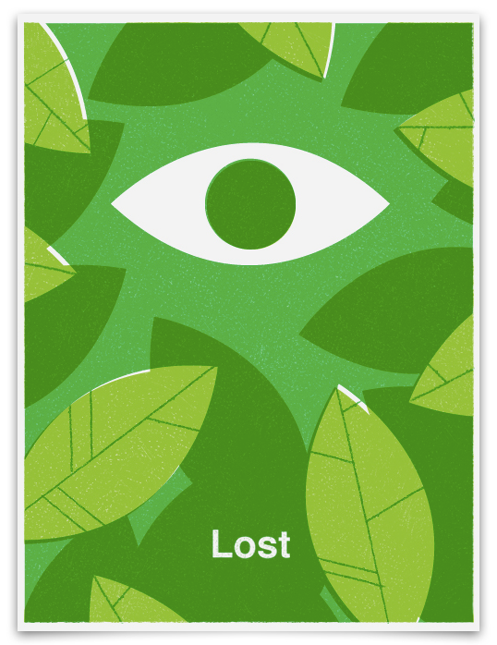 I love LOST and these designs are fabulous!!! What a fabulous story, I just had major magic in my life as well, follow your heart openly and the universe will provide!! Crystal, yes... I've been seeing these everywhere! But telling the back story makes is THAT MUCH better! So inspiring and the kind of thing I'm looking for these days. Thanks for posting and, of course, congrats to Ty! What a fab success story! And it really does show the power of the blog. 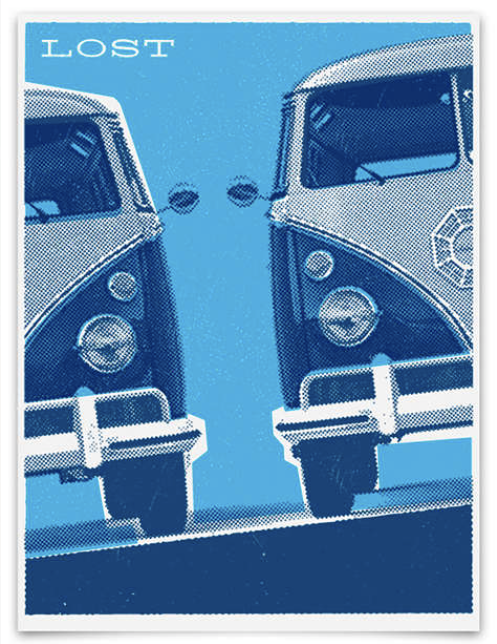 I had seen these on another blog and really liked the numbers one and the one with the Dharma vans. I'd seen these posters, but didn't know the story. I love serendipity! What a fantastic story! Big congratulations to him! I love the retro vibe mixed with bright colors. Definitely a good chance of becoming collector's items. Great post, xo! Oh I love these! It's such an amazing story. Thanks so much for the post Crystal! And thanks to everyone else for all of the compliments! I'm honored to be featured on Plush Palate! Nice! 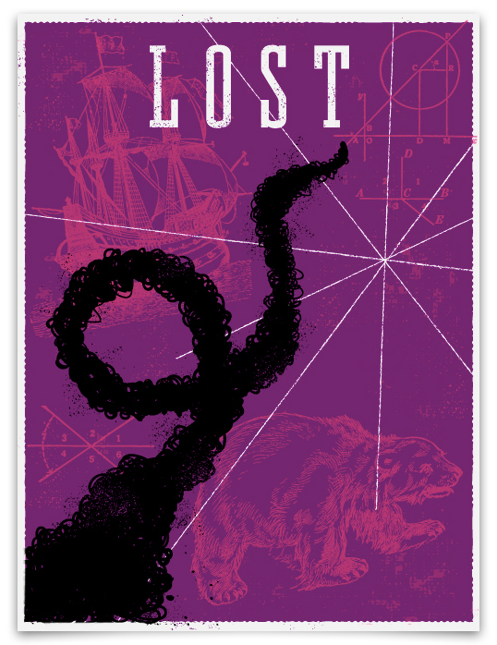 I love the posters + Lost. I'm missing it already... is that normal? Wow that is so cool. The world is a crazy place with how things work out! thanks for sharing this story and congrats to your friend Ty! So inspiring and one to remember. I love the time we are living in!